As if we weren’t already stoked about Radiohead going on a world tour this year, the critically acclaimed alt rock four-piece sent our excitement into overdrive when they dusted off two tracks from their second album, The Bends, released back in 1995 during their recent concert in Mexico City. The stadium full of concertgoers at Palacio de los Deportes were treated to two throwback tracks “Fake Plastic Trees” and “The Bends”—songs that the English rockers hadn’t performed live in six (!!!) years. As footage from the concert shows, an uproar of cheering and applauding could be heard from the crowd as soon as the band began playing the opening notes of “Fake Plastic Trees”, which eventually turned into a full-fledged sing along from the audience. 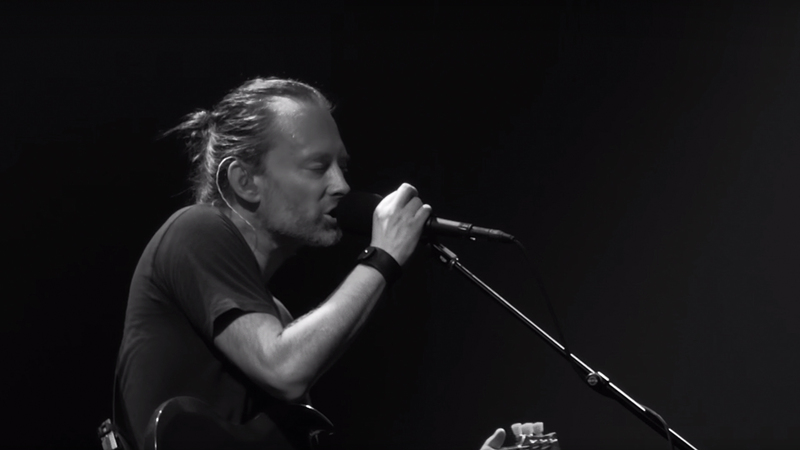 We’re not sure about you, but we wish we could’ve been there for this epic moment, because who doesn’t love old school Radiohead? Be sure to track them on Bandsintown to find out when they’ll be playing at a concert venue near you!